If you missed my full review of the Hero 9018 Fude Nib fountain pen, check it out! I found it hard to explain in writing how to change the line width when writing, so I made up this quick video. In the narrow line section you’ll notice that the pen is at a much higher angle to the page. 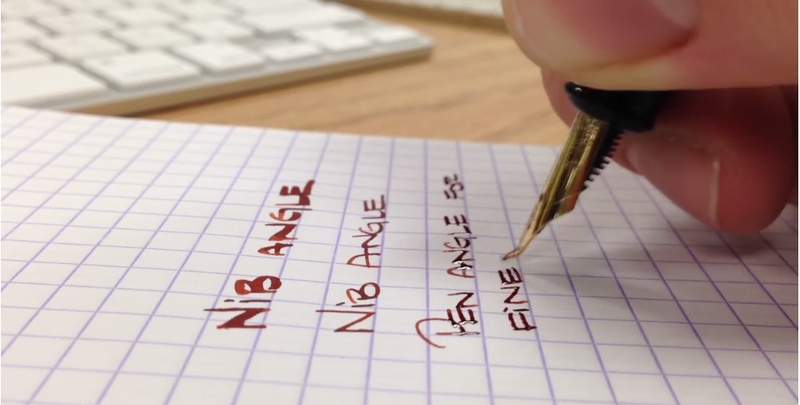 This “posture” allows only the tip of the pen to be in contact with the page. 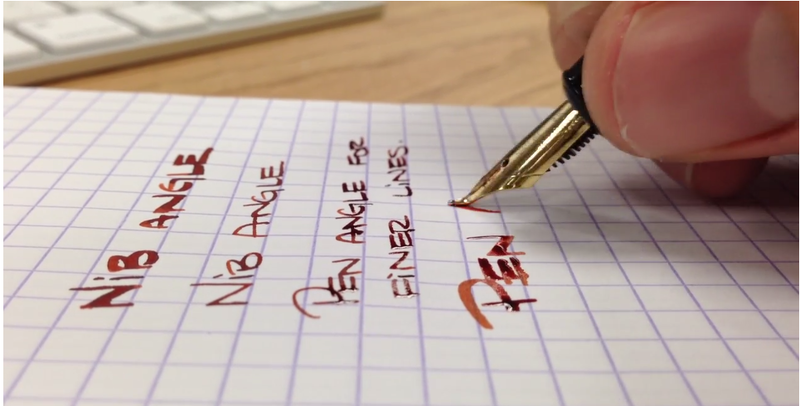 Decreasing the angle of the pen to the page makes the pen write in a super wet, thick line that varies a bit. Downstrokes are a bit more narrow than cross strokes. Writing in this style is really fun, especially if you’re using an ink that shades nicely. I’m still really enjoying this pen, it’s still one of the best fountain pen purchases I’ve made, especially for under $10. I hope the video and pictures helped make it more clear how to achieve line variation with a fude nib. I’ve seen these a few times, but my Hero pens are all so hit/miss that I kinda stopped buying the brand. Looks like yours works fine, though.